Getting shiitake mushrooms started in your garden isn’t difficult at all. You’ll need a log, a shady spot and some patience. Foraging for mushrooms in the woods is never a good idea unless you know for sure which mushrooms are safe to eat. 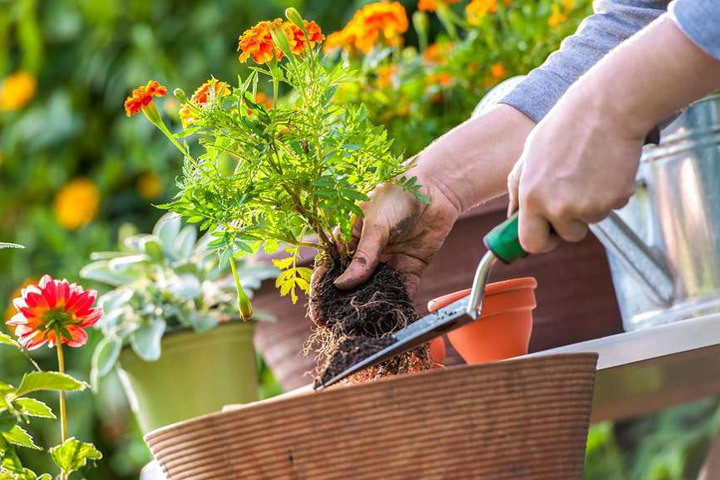 For those who like the taste of wild mushrooms, though, there’s a sure-fire way to make a positive identification: Grow them yourself in your own backyard or even on a porch or patio if you’re short on space. Delicious and nutritious shiitake mushrooms are an excellent “beginner” mushroom for those who’ve never tried their hand at this type of gardening. If you can drill a hole, wield a small hammer and melt wax, you’ve got all the necessary skills to get started. Here are the tools you’ll need and a step-by-step guide to growing and harvesting shiitake mushrooms. 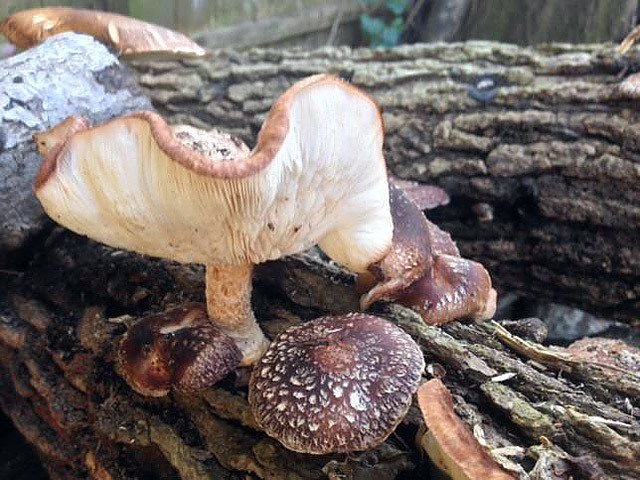 The glossary and instructions below have been adapted from a workshop taught in the Atlanta area by mushroom enthusiasts Howard Berk and Todd Pittard, who call themselves 2FunGuys. First, a vocabulary to help beginners understand two key mushroom-growing terms. Spawn is a vehicle used to transfer mushroom mycelium into a fresh substrate, or growing medium. Depending on the substrate to be inoculated, the vehicle (spawn) can be grain, sawdust, wood chips, dowels or rope. Mycelium is the vegetative part of the fungal organism (remember, mushrooms are a fungus). Think of a mushroom as the fruit, or the reproductive (spore-producing) part, of the organism. Another way to understand how mushrooms grow is to think of them this way: Just as you must grow a tree to produce an apple, you must grow mycelium to produce a mushroom. You won’t see mycelium in nature because it spends its life in a protected environment, in the earth, inside a log, or under some other kind of scattered leaf litter or downed branches. 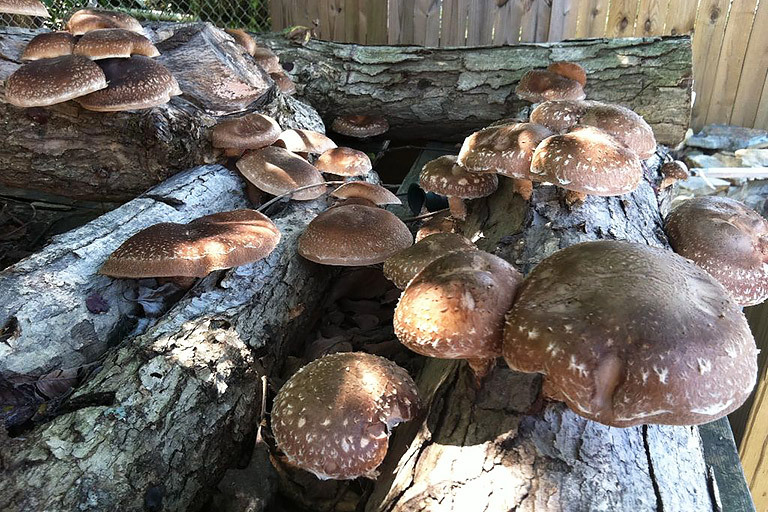 Using spawn to grow shiitake mushrooms is a method of propagation that involves expanding living tissue to produce genetic clones of the original specimen. Fresh-cut logs. Shiitakes grow in oak trees, so red or white oak is preferable. Sweet gum will also work. Spawn will grow faster in sweet gum than in oak because sweet gum is a softer wood than oak. Shiitake mushroom spawn. Can be ordered online in the form of wooden dowels that have the mycelium on them. Drill and 5/16 inch drill bit. Cheese wax or beeswax, if you can find it. Nail punch. Use this to drive the spawn into the wood a bit. Small slow cooker or double broiler to melt the wax. Melt the wax. Before working with the logs, heat up an old slow cooker, and place the wax in it to melt. Don’t use the slow cooker from the kitchen! Buy the cheapest one you can find to use and re-use for this purpose only. Drill holes into the logs. The holes should be a little deeper than the dowels, which are about 1 inch to 1.5 inches long. Drill the holes about 2 inches apart and space the rows about 2 inches apart. Drill the holes so that they form a diamond shape instead of having the holes line up all the way around the log. Hint No. 1: Hold the dowel against the drill bit and mark the bit with tape or in some other manner so you will know when you’ve drilled a hole to the proper depth. Hint No. 2: Complete one row of holes and then tap the spawn in. Then repeat the drilling/spawn process for each row. Hint No. 3: More is not better in this case regarding the number of holes you drill! Insert the spawn into the holes. Place the spawn (the dowel) in the hole and tap it in with the hammer. The spawn should be flush with the log, with none of the spawn sticking out above the log’s surface. Hint No. 1: If one end of the spawn has more mycelium (is whiter) than the other end, place the whitest end into the hole. Hint No. 2: At this point, you can tap the spawn into the log with a nail punch, though this is not necessary. Wax over the holes. 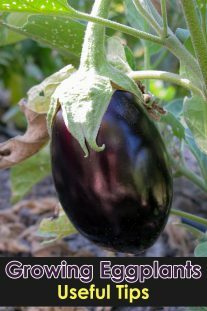 Take a dauber, dip it into the wax, being careful not to burn your fingers, and wax over where you have hammered the spawn into the holes. Also, wax over the cut ends of the logs and any wounds on the log. The wax seals the hole, prevents competing fungi from entering open areas on the log and helps keep the log from drying out. Tag the log. 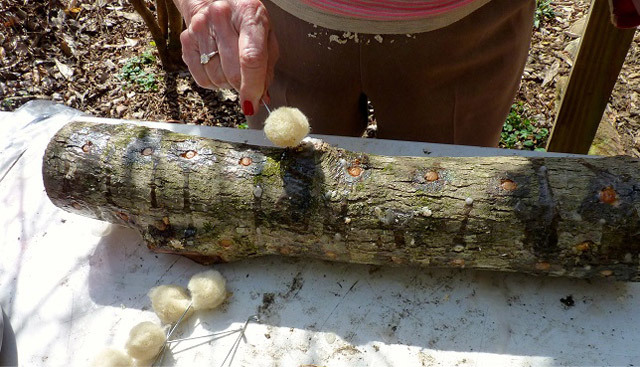 Make a tag with the name of the mushroom and the date you inoculated the log. Attach the tag to the log. Hurry up and wait. Place the log in a shady spot in the yard where it will get rained on. The best spot will get 80 percent to 90 percent shade. It’s a good idea not to place the log directly on the ground where it might be susceptible to competitor fungi. Place one end on a brick or stone and let the other end lean against a tree or another object. You do not need to bring the log into the house in the winter. The mycelium takes six to 12 months to colonize the log. Once the log is fully colonized and conditions are favorable, mushrooms will pop out of the holes you have made. Hint: Patience! Mushroom growing is not an instant-gratification hobby. Concave vs. convex. The mushrooms will taste the best and last the longest in your refrigerator if they are picked when the cap is concave (pointed down) rather than convex (pointed up). To harvest the mushroom, simply cut it off the log flush with the log. Store in a paper bag in the vegetable compartment of your refrigerator. If you cut your own logs, make sure they have their “pants on” (they have all of their bark). Wait at least two weeks to inoculate oak logs to prevent anti-fungal properties in the trees from killing the mushroom mycelium. 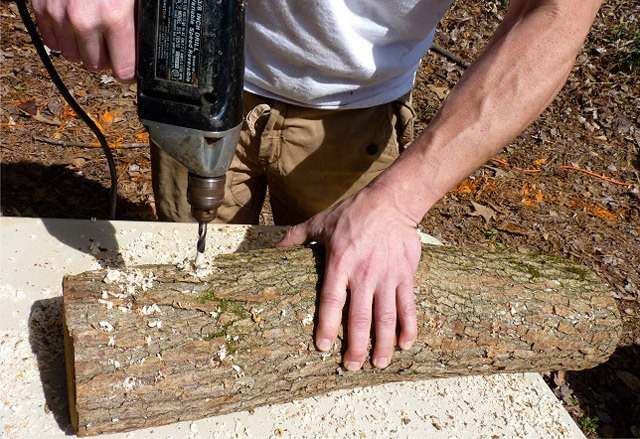 Sweet gum logs can be inoculated immediately after cutting them. Cut logs for mushroom growing in the winter. Moisture and nutrients evaporate from the tree in the summer. 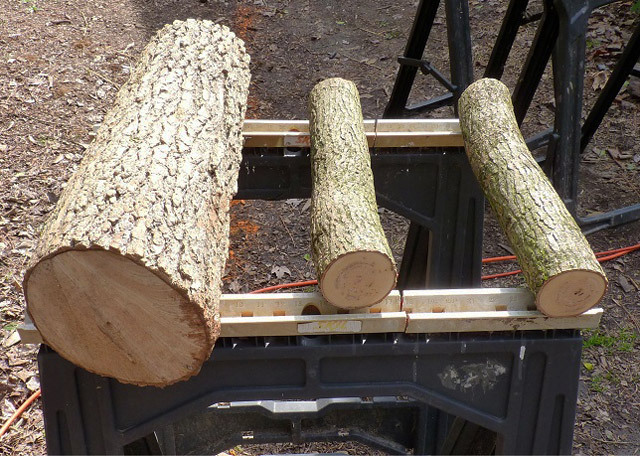 If you cut logs in the winter and summer, the ones in winter will be noticeably heavier than ones of the same size cut in summer. In long dry spells, soak the log in a bucket of water. Before soaking, let the water stand 24 hours to let chlorine to dissipate. Soak the log for up to 24 hours. Mushroom logs have few natural enemies — slugs and deer, though, will not be your friends once mushrooms appear. Finally, enjoy! With proper care, your mushroom log should last for years. 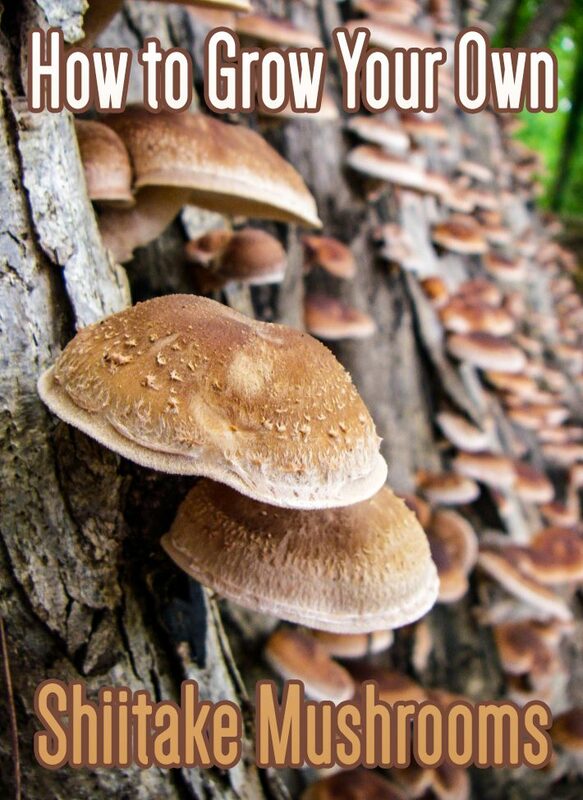 If you want to learn about amazing health benefits of shiitake mushrooms, here you can find all nutritional facts!